Three Rivers Entertainment’s lighting designers took a page from a rock concert to create a entertaining and amazing spectacle to help our client celebrate their honored attendees. 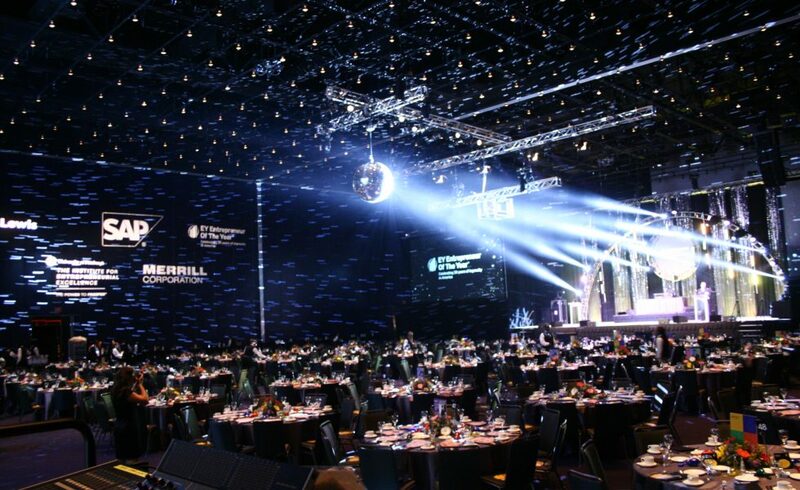 Mac and Sharpy lighting combined with LED up lighting, moving lighting, stage wash, mixed with rounded truss, gobos and a topped off with an mirror ball that made ballyhoos a catalyst for standing ovations for every recipient. With video and amazing sound, it was hard to tell for our guests that they were not at an awards banquet or a rock concert.